Tomorrow I’m leaving for a meeting with Mennonites in Fort Myers, Florida. Noel Santiago and I will represent our conference in a conversation with congregations who are interested in remaining in relationship with Mennonite Church USA after the withdrawal of their conference. They are discerning their future together as a community. Last month, Southeast Mennonite Conference removed itself from our national body. In recent years, we have had growing ties to some of these communities in Miami, Tampa, and Sarasota. Some of us spend part of our winter in Florida; some of us have pastored there; some of us have relatives in these communities. Florida is an easy flight away from the part of our conference that is rooted in the Northeast corridor. Several years ago, Angela Moyer (our current conference assistant moderator), Ertell Whigham (then executive minister), and I helped to lead an equipping event with Southeast Conference leaders in Sarasota. We recognized a resonance between our conferences. There’s been a warmth between some of our conference leaders and these Floridian communities since then. In the last weeks, we received a request to come alongside a part of what had been Southeast Conference to provide additional leadership resources and accompaniment. 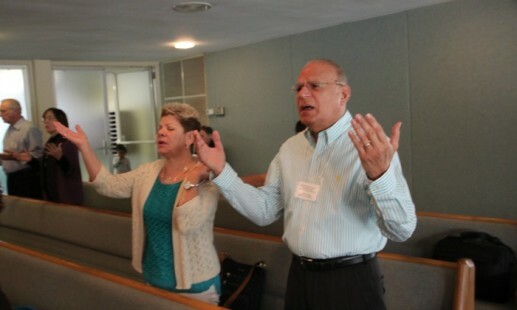 Sandra and Marco Guete worship during a Southeast Mennonite Conference annual assembly. Photo by Andrew Bodden. Last month, we invited Marco Guete to begin serving as a stipended leadership minister to work alongside the communities in Florida for six months. Marco joined our conference staff retreat at Spruce Lake last week. His wisdom, insights, experience, and salsa lessons were a welcome gift to our team while we were together. I expect these deep, lively, and wise contributions to continue in the months ahead. Where is this going? We don’t know. We anticipate meeting with leaders from about ten congregations in Florida this weekend; these leaders may either decide to form their own group in Florida in order to remain a part of Mennonite Church USA or express a desire to join our conference. It’s a time of fluidity and change in church structures, with the previously unimagined becoming the new normal. We want to be open-handed in relating to the communities in Florida. I believe strongly that “to those whom much is given, much is required.” We had available financial resources to offer assistance to our sibling communities in Florida from within our budget this year due to unfilled staff roles. When the need in Florida became clear through a phone call with former MCUSA moderator Roy Williams from Tampa, we responded. Our multilingual conference staff will continue to work to accompany the Florida communities as they discern their future. Marco will work in this role for six months. We are in conversation with Mennonite Church USA leadership about how this may evolve. The Spirit continues to shake up the structures of the church. Meanwhile, we are still willing to bear witness to the way of Christ’s peace. And God continues to bring new possibilities for relationships and renewal that might extend right fellowship to people both near and far. We will continue to work and hope. Seguiremos trabajando y esperando. I grew up attending a Church of the Nazarene congregation every Sunday morning, Sunday evening, and Wednesday evening, well into my teenage years. Our family was at church whenever the doors were open. My parents often sang up front, Dad playing the guitar and Mom banging the tambourine against her leg. They asked me to join, but I was too shy and self-conscious. I can’t tell you when I became a Christian, or when I was “born again,” because as far as I can remember, I have always looked to Jesus as Lord, savior, teacher, and friend. Despite my semi-forced dedication to the church, becoming a pastor was not on my to-do list; standing up front, talking, and inviting people to kneel at the altar to get saved for the tenth time wasn’t my idea of a fulfilling job. As I entered my late teens and early twenties, I drifted away from the church. I thought about God often, and prayed occasionally, but my faith wasn’t guiding my decisions. After spending 3 years in the military, I prepared to start college. I was thinking about becoming a pastor, but I felt like, if that’s what God wanted for my life, I couldn’t be obedient to that call. A nagging feeling of guilt began following me around. So I went to talk to my pastor. I didn’t really “know” at the time, so I ran. I guess I assumed God would get the message to me if I needed to hear it. During my final year of college, like the prodigal son, I returned. I started attending church and met some good Christians friends who helped me stay on track. The youth pastor at my home church asked me to help with the youth. This turned into seven years of teaching, chaperoning, and mentoring. Over time, particularly after the start of the Iraq War, I began thinking more deeply about Jesus’ teachings on peace, justice, oppression, and solidarity. I didn’t have a label for it, but I was on my way to becoming an Anabaptist. In 2008, I decided to pursue a Masters of Divinity degree from Biblical Theological Seminary. I wasn’t interested in pastoring, but wanted to dedicate a few years to serious study of scripture to help in the ministry I was already doing. During my studies, I learned about the Anabaptists and was told by one of my close friends that I was one. This was news to me, but I embraced the label. I also had the opportunity to be taught by a Mennonite adjunct professor, Steve Kriss. Steve was the teacher for my final class at Biblical Seminary. As I walked out the door of my last session of that class, marking the end of my seminary education, Steve stopped me to ask a few questions. He told me that there was a church in Allentown that might interest me and wondered if I’d like to meet Tom Albright, the pastor of Ripple. I decided I would check it out. I initially thought I couldn’t be obedient to God’s call to be a pastor because the pastors I had known seemed to be straight-laced and uptight. There’s nothing wrong with that, but it’s not me. 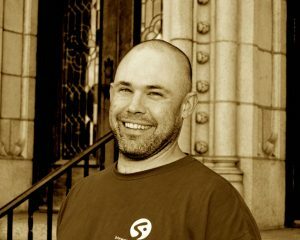 At times I still feel pressured to fit a certain pastoral mold, but for the most part, Ripple has allowed me to pastor from a place of authenticity and vulnerability. I have learned that being a good pastor is simply about being the person God has created me to be. I don’t have to pretend. in our time, infinity . . . I like new notebooks and journals. Fresh, blank pages represent new possibility. The pages await new thoughts, encounters, and reflections. The beginning of a year is like that too. New goals, resolutions, and opportunities. Sometimes, though, we are so busy with the new pages that we don’t reflect on where we have been. This year’s “Year in Review” offers a good glimpse of where we were together as a community in 2018. Upon reflection, it tells the highlights and the transitions. The things that worked and came to fruition. But missing, sometimes, is the struggle and the not yet. The places where things were difficult and hard. The conversations yet unresolved. Those, too, are part of our story and part of our ongoing work. I don’t want to take for granted that just because we’ve been around so long, we’ll always have new years and new pages ahead. All around us religious institutions, some with histories that are long and deep, continue to wrap up their legacies. Franconia Conference is also challenged by the cultural changes around us. Our future cannot be taken for granted. Our legacy must not only be stewarded, but also enlivened. Some things will come to an end and some things will emerge—or even be reborn. We’ve seen an end of a historic congregation at Rockhill and a re-emergent partnership with CIEAMM. We’ve come to embrace something we never imagined now with 10% of Conference congregations on the West Coast. We’re calling leaders, both young and mature, to credentialed leadership. And we’re being challenged to refine our credentialing processes so that more people who are called by our churches can navigate the process with grace and integrity. When I look at our future, I know that there are things only known to God. I know that in our human responses along the way, we have both the possibility of filling the pages of a new year beautifully or with scratch marks and smudges. Sometimes we’ll need practice runs. We’ll have first drafts that will need improved, articles and ideas that will need translated. Entering a new year means offering appreciation for what has gone before, all the accumulation upon which we stand and move. It also means being open to the possibility, the plans yet unfolding, and the unknown events that might yet emerge. And it means trusting that God—in our ends, in our beginnings, in all of time—sees and is with us through it all: alongside, inspiring, inviting, revealing further glimpses of the dream rooted in the faith, hope, and love that last forever. With gratitude, we begin to write the pages of a new year as the old, old story unfolds within and around us anew. It’s a new year in Franconia Conference, a time to reflect on where we’ve been and where we’re going. 2018 was a year of rejoicing in new and continuing relationships and of saying good-bye to old ones. 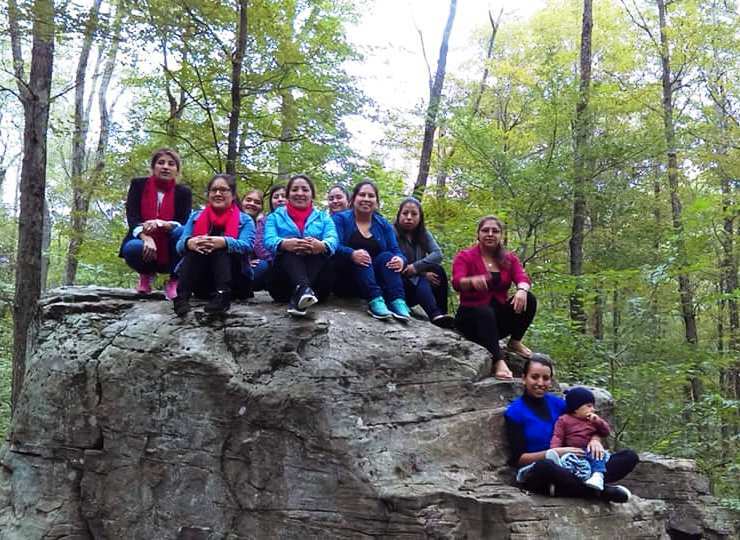 Our conference celebrated 100 years of mission in Norristown, PA, and reignited relationships with the Conferencia de Iglesias Evangélicas Anabautistas Menonitas de México (CIEAMM), which was birthed out of Franconia’s mission work in Mexico in the 1950s. 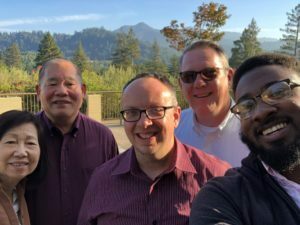 We welcomed a new congregation, San Francisco Chinese Mennonite Church, and saw Rockhill Mennonite Church leave the conference to merge with Ridgeline Community Church. Four individuals were ordained this year and three were licensed toward ordination, including Franconia’s first credentialed leader from Generation Z. We said good-bye to six credentialed leaders: one who transferred to another conference, one who retired, and four who passed away. In 2018, Franconia Conference Board saw the addition of some new members: Kiron Mateti, Yvonne Platts, & Cory Longacre as Members-at-Large and Angela Moyer as Assistant Moderator in anticipation of moderator John Goshow completing his term in 2019. The conference staff also grew with the addition of a California-based Leadership Minister, Jeff Wright, and the calling of Chantelle Todman Moore as an Intercultural Leadership Coach. Over the summer, Franconia was joined by a leadership cultivation intern, Jerrell Williams, who traveled around the conference and blogged about his experiences. Early in the year, Franconia’s new Leadership Minister team took a retreat at Mariawald Retreat Center near Reading, PA, to redefine and clarify their conference work of walking alongside congregations and leaders in a rapidly changing time. Leadership for conference youth ministry also shifted this fall as Franconia’s Youth Minister, John Stoltzfus, relocated to Virginia and three youth pastors (Brent Camilleri, Mike Ford, and Danilo Sanchez) agreed to share responsibility for planning youth events, equipping youth pastors, and networking with other youth leaders across the denomination. The conference is currently evaluating how the conference will equip youth leaders in the future. Participants in the first US Spanish-only Sister Care Retreat hike in the woods around Spruce Lake. We enjoyed spending time together in 2018. 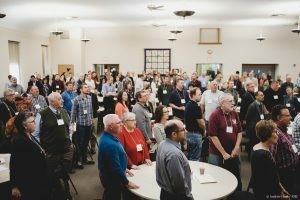 The conference’s Faith and Life Commission led four conversations around church practice and leadership, focusing on baptism, church membership, communion, and leadership. Leaders of color met for conversation and brainstorming at the Renewing Nations & Generations gathering and we held the United States’ first all-Spanish Sister Care Retreat. Credentialed leaders were equipped during a series of boundaries trainings and leadership teams met to learn about and practice God-centered decision-making. Franconia Conference and Eastern District continued conversations about merging in 2019. At a joint Conference Assembly in November, delegates discussed some of the sticky issues that will need to be resolved in order to form something new moving forward. 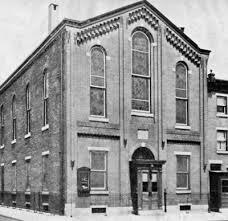 Franconia closed out the year by purchasing a parsonage to be used by South Philadelphia congregations. This is just one of many examples of partnerships across congregations, geographies, and differences throughout the year. In 2019, those partnerships will continue as Franconia anticipates additional congregations seeking membership and looks forward to celebrating the 60th anniversary of CIEAMM. 2019 will also be the year that Franconia and Eastern District conferences make the final decision about merging, beginning with discussing some ideas for a new structure at Spring Assembly on May 4 and coming to a final vote at Assembly in November. 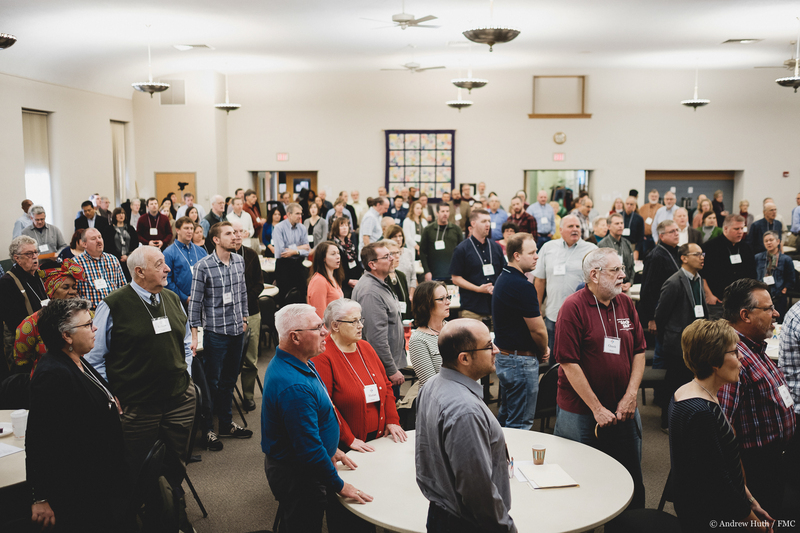 Look forward to more resourcing in 2019, including a gathering for retired pastors in the spring and a Boundaries 201 training on confidentiality and pastoral care in the fall. Faith and Life will continue with three more gatherings focused on leadership: failure in leadership (featuring J.R. Briggs) on February 6 & 7; women in leadership (featuring Carolyn Custis James) on May 8 & 9; and multicultural leadership on August 7 & 8. March brings its own slate of training events, including “Building Compassion from Love,” a gathering for women on March 30 at Centro de Alabanza, which will explore how God’s love is the foundation which allows us to build on the joy and sorrow of our life stories, experience healing, and show compassion for ourselves and others. On March 28, a pastors’ breakfast will discuss “Mission as Risky Love,” wrestling with how we talk about and engage in mission so that our risk-taking is grounded in the story of a God who risked everything for the sake of love. A few other dates to save! Mennonite Church USA convention will be held in Kansas City on July 2-6. Registration doesn’t open until February 6 (housing registration opens February 13), but convention staff are already accepting applications for volunteers. And all credentialed leaders should save the date for our annual appreciation event. Pencil in August 24, with many more details to come closer to the time! This is the great seriousness of the Advent message and its great blessing. Christ stands at the door. He lives in the form of people around us. Will you therefore leave the door locked for your protection, or will you open the door? As I write this, thousands of migrants are stranded at Tijuana, one of Mexico’s most dangerous cities. At times they are within shouting distance of peaceful and prosperous San Diego County, CA. There are jobs across the frontera, generated by a booming economy with low taxes and high expectations. And relative safety. They’re fleeing violence and grinding poverty. God only knows what will happen to them by the time you read this. In Rome, at St. Paul’s in the Walls, straggling in from small boats that made it across the Mediterranean with hopes of prosperity and work. At Calais, young men who trudged across Central Asia and some fleeing East African violence waiting to hitch a ride on a lorry to jobs at restaurants and with family and friends in the United Kingdom. One time in a cadre, clutching what seemed like all that they had through Barajas airport at Madrid with bags marked “UNCHR” (UN Refugee Agency), the kind I’d use to carry my groceries. 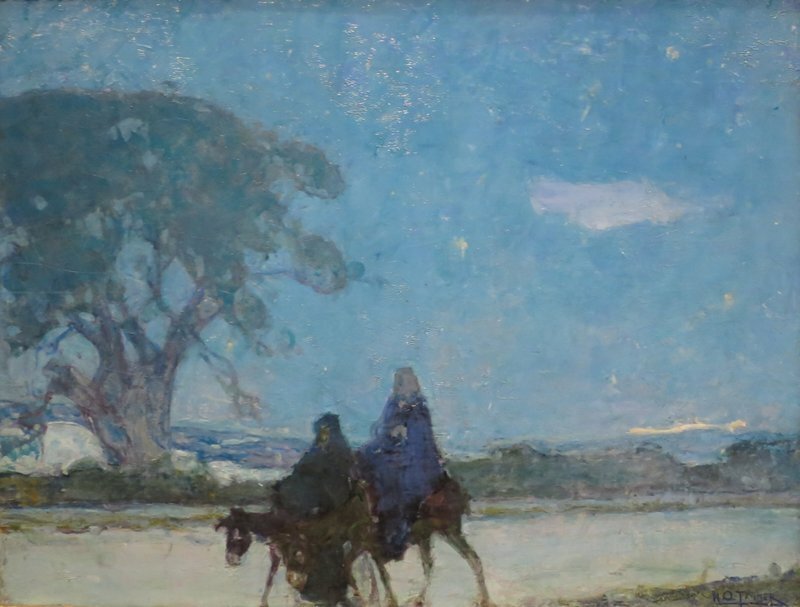 “The Flight into Egypt” by Henry Ossawa Tanner (c. 1907). Public Domain. 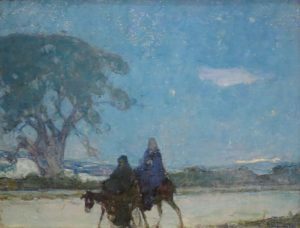 In Mary and Joseph, running away from a violent king, crossing borders and languages and customs to save their son from certain death. And in Mennonite churches —where the presence of refugees from Myanmar has boosted the futures of dwindling churches, where new congregations have been birthed by Indonesians fleeing violence and seeking asylum, where pews are filled by Nepalis suddenly dislodged from Bhutan, by Vietnamese and Cambodians who arrived a generation ago. Those who knock at the door and come inside change us, deepening our gratitude and generosity, enriching the possibilities of our future. We, as Mennonites, have been these folks as well, fleeing the Ukraine and adrift in the Atlantic until someone unlocked the door to Paraguay. Or streaming to new possibilities in North America by homesteading land to lay foundations for colonizing empires by pushing back indigenous people. It’s not always a pretty entrance. We have at times found the doors locked ourselves. We have been fearful and hopeful, at the end of our rope, the one seeking loving kindness and mercy. We have been running from slaveholders and the legacy of white supremacy, running from abusers, persecution and poverty. We have been outsiders, too. We have sometimes forgotten ourselves and our wandering stories. Fear has grown in the space of our forgetting. That fear overshadows our ability to see the stranger as ourselves. This same kind of fear drove shooters to a black church in Charleston and a synagogue in Pittsburgh. The fear is a cycle so that we are afraid that the one at door might seek to destroy our very existence. We become comfortable and culpable by normalizing, “it would have been better if they’d had an armed guard.” With an armed guard, the stranger never even makes it to the door. We are safe. We survive but become a shell of ourselves, shrouded in fear. Safe and secure, we strain to hear the knock of the One who seeks shelter to be born again, even in our own hearts, homes, and communities, in this season when love and light broke in. And we move in faith to unlock the door. The house sits on Emily Street, a three-story, red-brick townhouse whose stoop rests directly on the sidewalk along a narrow city street. Bethany House, which sits on Emily Street in South Philadelphia, will serve as a conference-owned parsonage. The third floor windows look out over the surrounding blocks, where brand new rowhomes, nestled between century-old houses, bear witness to the creeping gentrification of this densely populated and diverse neighborhood. Dotted between the rows of houses are lots that won’t long be empty, neighborhood parks, and the occasional sidewalk garden planted in clusters of multicolored pots. Its name is Bethany House, and soon this house will become a home. For a number of years, members of the conference community have been concerned about the rising cost of housing in South Philadelphia. As the city has experienced an influx of immigrants and a renewal of its urban core, the neighborhoods surrounding Franconia’s South Philly congregations have seen a quick and dramatic increase in housing costs. This gentrification makes living and ministering locally more and more difficult, especially for credentialed leaders who don’t have the resources to purchase a home. In response to growing support among the conference constituency, the board decided that now was the time to act, while the purchase could still be considered an investment in the rapidly growing housing market. In December, upon the review and recommendation of the Properties and Finances Committees, Franconia Conference purchased the house on Emily Street to be used as a conference-owned parsonage. 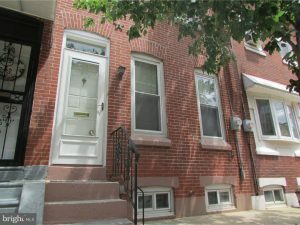 This home will be available for conference congregations in South Philadelphia to use when, and for as long as, needed. Bethany House’s first residents will be Leticia Cortes and Fernando Loyola. The pastoral couple of Centro de Alabanza de Filadelfia, Cortes and Loyola have been struggling to find a safe and stable living arrangement for their family for eleven years. 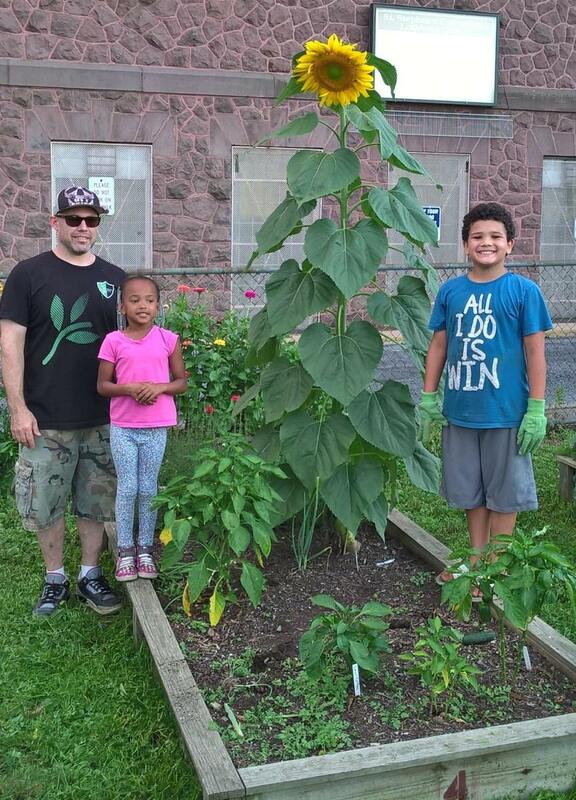 Because Bethany House is close to their congregation’s building, Cortes and Loyola anticipate that living there will open up new possibilities for outreach in their community as they get to know their neighbors better. The move will also put Cortes and Loyola closer to their church community—this was one of the appeals of the house, Tirtasaputra explained. Members of Centro de Alabanza are excited about the move and have already been busily at work on the house, making repairs and painting. Ten percent of Franconia Conference members live and worship in South Philadelphia, which makes it important to start investing in the neighborhood, suggested executive minister Steve Kriss. While Centro de Alabanza is currently using the parsonage, Tirtasaputra reflected, it’s a gift to all of the South Philly congregations since, in the future, pastors from other congregations may also find themselves in need of a home. The pastoral couple’s hope is to move in by the end of the year and, it’s quite possible, they may even be home for Christmas. Bethany House has been partially funded by estate gifts and individual contributions, but we still have funds to raise! You or your congregation are invited to participate in this ministry by making a designated contribution to Franconia Conference online or by sending a check with “Bethany House” in the memo line to Franconia Mennonite Conference, 1000 Forty Foot Rd., Lansdale, PA 19446. The process of gathering started last night with persons coming from California, Indiana and Mexico. Partners and leaders began to stream toward Souderton Mennonite Church for our historic Assembly that begins tomorrow. We have gathered together for generations each autumn as the community now known as Franconia Mennonite Conference. It’s a massive incarnational effort involving lots of details and logistics—name tags, seating assignments, worship practice, PowerPoint slides in multiple languages and thankfully, Longacre’s Ice Cream and lunch from Landis Supermarket. These events have certainly changed over the years from intensive discernment among credentialed leaders on the difficult topics of the day, to equipping and celebration inter-culturally and inter-generationally with a sense of family gathering, face to face listening and conversation. We’ve switched from Pennsylvania Dutch to English to quad-lingual with videos. It’s a representation of who the 7,000 of us are in less than a 24-hour timeline. It’s hard work and it takes resources. Yet, by gathering together we underscore the importance of the Incarnation, the love of God made manifest in real time and places. We listen across our differences in culture, practice and even varied Anabaptist theological perspectives. It’s ultimately a celebration of the holy tie that binds, of commitment centered in Christ that now span the globe and yet have been rooted deeply in the soil of what has become Southeastern Pennsylvania. That we celebrate and pray. That we mark the passing of another year of witness, mission, and ministry. That God continues to call and we continue to follow. That God’s dream for us though yet unfulfilled is still unfolding. The Facebook post from retired Lancaster Conference Bishop Freeman Miller showed a photo of the former First Mennonite Church in Philadelphia with missing windows, a high wire fence and a notice of building violations and possible demolition. While this building hasn’t been inhabited by the First Mennonite Church of Philadelphia for generations, I felt the pain of the possible loss. This building had been the meetinghouse of what had been one of the largest Mennonite congregations on the East Coast, though they had relocated to the suburbs long ago. It was the home church of Ann Allebach, the first Mennonite woman ordained for ministry in the country. The Mennonite Historians of Eastern Pennsylvania worked to add the building to the city’s historic register. For Eastern District, it represents a key historic spot and story. When I came to Franconia Conference from the western half of the state over a decade ago, I learned quickly that to lead in our community meant learning our history. I have also learned that it means learning to listen to those who are sometimes just outside of the narrative, as well as those whose stories we have not told. For over 150 years, the stories of Franconia Conference and Eastern District Conference have been stories told in contrast: General Conference/Mennonite Church (GC/MC) across the street, down the road, more worldly, more conservative. The challenge for us in reconciliation will be to learn to tell our stories together in a fragmenting time. As we move this fall toward the possibilities of reconciliation, I believe we are moving toward what is the essence of the Spirit’s work of healing and hope in our time. The project of honestly assessing the wounds of the past and recognizing the possibilities that are unleashed through reconciliation and forgiveness gives us a strong posture for the future. How do we honor our experiences learned through our years alongside each other but apart? How we do hear the stories told and untold? How do we let our brokenness heal so that we are stronger and postured uniquely for the work and witness of God for our time? For me, this means learning the stories of Eastern District Conference and honoring those places and spaces that are significant in their history, as well as the history of Franconia Conference. It means emphasizing the role of God as is often de-emphasized in the story of the Prodigal Son, the one who welcomes home, who celebrates a return to family, who welcomes repentance and challenges arrogance even in faithfulness. In the history of our story together as Conferences, at times we have both squandered our inheritance, distracted by the things of this world rather than the way of Christ’s peace. I believe that reconciliation will make us stronger as a community. Not because this bolsters numbers or helps with efficiencies, but because reconciliation further transforms us into the image of God revealed in Christ, who lays down privilege, who embraces incarnation, who recognizes the God who creates all things new — even 300-year-old communities of Mennonites separated for over a century. When current Franconia Conference Board member Jim King invited him over for dinner, the idea of filling a seat on the Board was not on Kiron Mateti’s radar in the least bit. Being new to the Conference, it wasn’t a proposition he was expecting or a position that he was seeking out. With a life journey that started – figuratively speaking – quite far from Anabaptism, Kiron brings a perspective and insight that will be a welcomed addition to Conference leadership should he be affirmed as a board member. Kiron Mateti is being presented to the delegates at the fall Assembly as a nominee by the Conference Board for affirmation to join them as a first term Conference Board Member-at-Large. Growing up in Dayton, Ohio, Kiron’s early faith life was shaped by varying degrees of Hindu belief and practice by his parents, who immigrated from India. However, through the influence of Christian neighbors and a job in a Presbyterian church nursery, Kiron’s mother learned about the Christian faith, cleared the house of Hindu statues and began to talk to her sons about Jesus. As a result, Kiron and his brother felt caught in the middle between their parents. 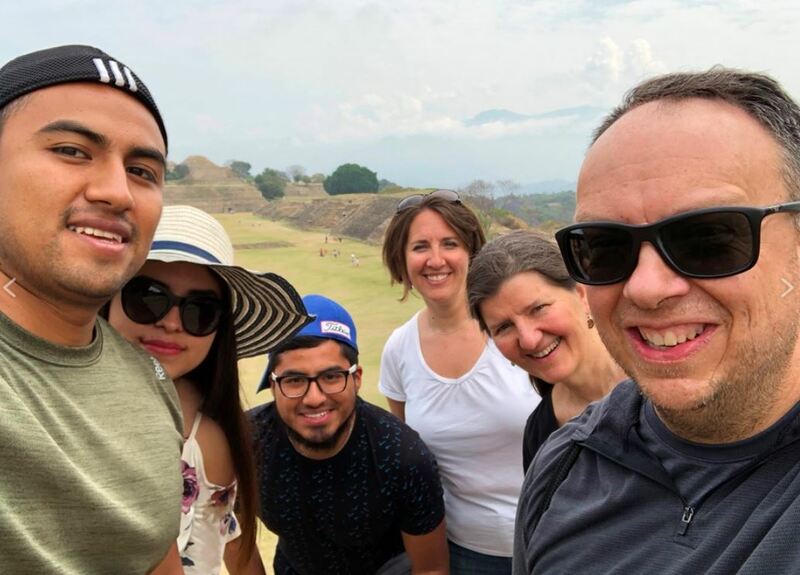 With the planted seeds of faith taking root, Kiron returned to Penn State, sought out a friend who was a Christian, and began tagging along to the Christian Student Fellowship (CSF) gatherings, various campus ministry functions and to Sunday church services. On his first day visiting Christ Community Church in State College, he caught the eye of a fellow Indian man. “He was really easy to talk to, and wanted to know more about me,” Kiron recalls. “We met up, and then we started meeting up weekly and doing one-on-one Bible studies.” Kiron remembers this as an intense time of formation and growth in his faith. “It was just me and him, and we were going through some of the same tough questions, and we’d dig in. We’d have four- or five-hour Bible studies!” Eventually friends started coming along, and by the time Kiron left Penn State, there were around 40 people attending! 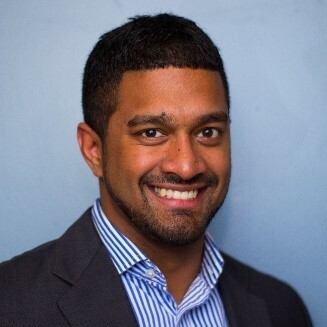 In 2016, Kiron and Rachel committed to moving their family closer to Rachel’s extended family, and Kiron took a position at JBT Automated Guided Vehicles in Chalfont, PA., as a Research and Development Engineer. Settling in Telford, they visited most of the area Mennonite churches, but were invited to Plains Mennonite Church by Anya Williamson, a friend from Penn State. Kiron’s mom, who now lived with them, immediately connected with the Thalathodi and Rampogu families, who also spoke her native Telugu language. Kiron and Rachel also made connections, particularly with other families with small children, and got involved with the worship team, teaching Sunday School and leading adult classes. Those who know him tend to agree. “Kiron is a thoughtful, independent thinker with a deep commitment to the church, his family, and the way of Jesus,” says Plains’ Pastor Mike Derstine. “While new to our congregation and conference, he is eager to learn, meet new people, and further the mission of God in our community and world.” Executive Minister Steve Kriss also anticipates the contributions Kiron will bring. “He’s bright, engaged, will ask good questions and help us find our way into new spaces, places, possibilities,” says Steve. 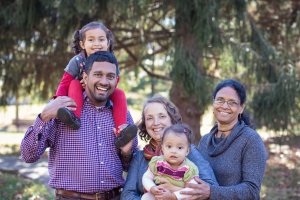 Kiron and his wife Rachel (Zimmerman) are the parents of 5-year-old Asha and almost-3-year-old Jaya, and as a family, they enjoy music, the beach, camping and are a self-proclaimed “nerdy family” who like to visit libraries when they travel.